How long before the grocery store shelves are empty after a disaster? Mother-in-law is dropping by unexpectedly — what to fix for dinner? No time to run to the store. 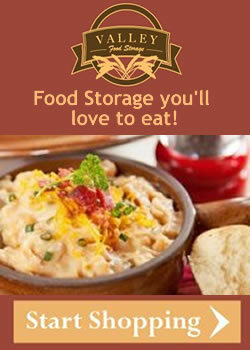 Go to your food storage and pull out the supplies you need for a terrific dinner. 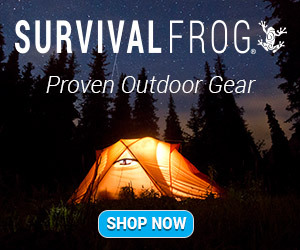 It's great to go "shopping" in your own food storage area! Husband gets laid off or hurt and cannot work for months. But your family will still have plenty to eat because you have planted a garden and learned how to can your own food. Some members of your family have special dietary requirements. Learn to can those foods that they can eat and know exactly what goes into that food so they will not be eating foods that may cause allergic reactions. Canning your own food means you know exactly the nutritional value and contents of every bottle you process. You can save money on canned goods, especially if you have grown your own fruits and vegetables. You know the date it was canned so you can keep track of the shelf life. You don't know for sure how long the cans have been on the shelf at the grocery store. You know how fresh the food is that goes into your own bottles. Have you tasted the difference between store-bought canned peaches and fresh-off-the-tree, home canned peaches? bottles - pint, quart, or half gallon; regular size mouth or wide mouth? 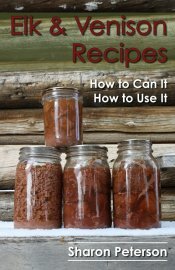 Whether you are an experienced canner or just beginning, my friend, Sharon's latest ebook is mandatory. I've been canning for years (more than I can count) but I've never been as organized as I should be or could be. The Pantry Journal takes the guess-work out of preserving your own food — especially after the first year of keeping track using the Planner worksheets. Not only does The Canner Planner help you to know how much to can for a year or two, Sharon provides worksheets to keep track of what you planted in your garden, what worked and what didn't, and where you found bushels of fresh fruit or vegetables locally. There are charts giving altitude adjustments, measurement conversions, plus syrup recipes and how to substitute with honey. 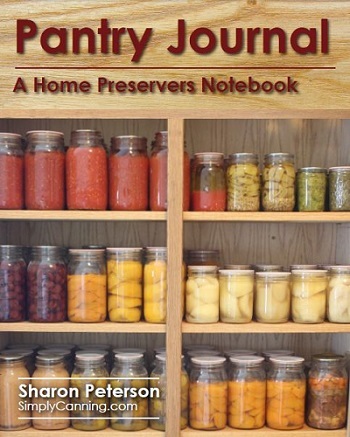 Click over to Sharon's website and get your copy of the Pantry Journal — before you get too far into your canning this year! 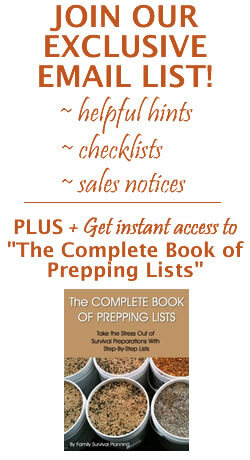 Organization and planning makes the whole process easier every year! Food preservation, whichever methods are used, must always be done as safely as possible. 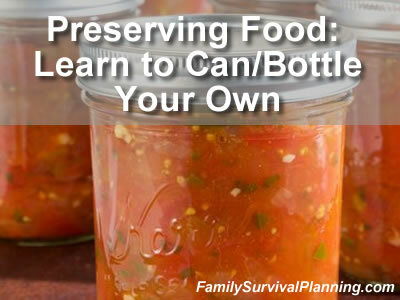 Canning provides a method of preservation that can be very safe, providing the "rules" are followed. 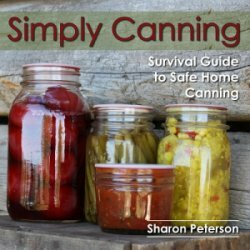 Simply Canning: Survival Guide to Safe Home Canning will start you out on the right track learning the "rules" of safely canning your own food. How processing stops spoilage in your foods with a complete description of water bath canning, pressure canning, and when to use each one. What essential equipment you will need. Tips to make canning day go smoothly rather than a harried and frustrating experience. Tried and tested recipes for every food you can think of to can. Follow along in Simply Canning: Survival Guide to Safe Home Canning and you will soon have your own shelves full of freshly canned peaches, tomatoes, pickles, salsa, pears, apricots, and even meats. And all done safely! Boiling Water Bath or Pressure Canner? The general rule is that most fruits can be canned with the boiling water bath method and vegetables and meats must be canned in a pressure canner. 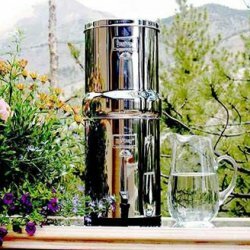 The water bath canner should be large enough to process foods with at least 2 inches above the jar lid. Foods must be processed for a specific number of minutes which is determined by the food product and especially by the altitude where you live. Processing at sea level takes less time than processing at higher altitudes. Although a pressure canner can hold the same number of bottles as a water bath canner, the higher temperature and pressure provides a safer method of canning low acid foods, like vegetables and meat. 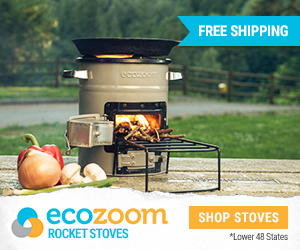 The same rule applies: the cooking time must be increased for higher altitudes. Follow the instructions that come with your canner. Heating food to a temperature of more than 240 °F will kill the botulism spores that cause illness. That's why it's important to use a pressure canner for low acid foods which will heat the food to more than 240 °F. The spores cannot live or multiply in temperatures over 240 °F. 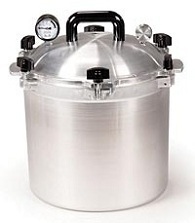 There are two varieties of pressure canners: Those with a pressure gauge(pictured above) and canners with pressure regulator. There are also electric pressure cooker/canners that are pretty handy. Need more recipes? Sharon has put together another ebook that will give you ideas on combining all the great foods you have canned or dehydrated into delicious soups. Using these recipes will give you a chance to use and rotate your food storage. It's easy to make a soup out of whatever you have in your storage. 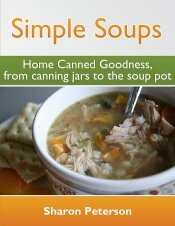 If you love soups for the winter months like I do, download the ebook, Simple Soups. Throw your home canned or dehydrated ingredients into a crock pot, mix up a batch of homemade bread, and savor your supper in front of a warm fireplace for a perfect fall or winter evening! Are you an avid hunter? If you have canned or frozen your venison or elk meat, then you need to download this ebook, Elk and Venison Recipes, From the Field to the Table. These recipes are family-tested for deliciousness and graded as A+! 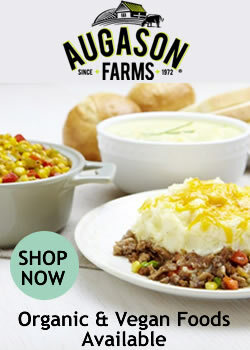 Using varied cooking methods, such as crock pot, cast iron skillet, or casseroles, you are sure to find the perfect recipe that your family will love. Download it now, before you bring home your prize elk or deer!